I receive a lot of requests from Sunday School teachers but by far the most popular request I receive is to come up with fun activities for fruit of the spirit. I’ve often wondered why this is the number one request that I receive and ultimately I’ve decided it’s probably because fruit of the spirit is one of the most taught Sunday School subjects and it’s also one of the hardest to get across in an impactful way to kids. 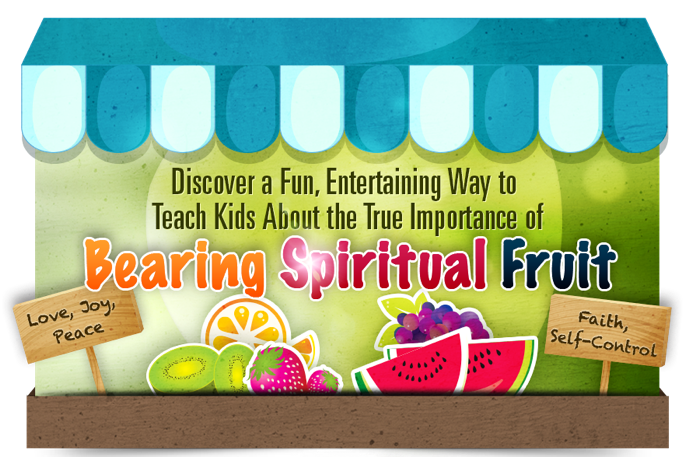 Maybe you’ve been struggling to find a fresh, attention-grabbing way to teach fruit of the spirit to your kids? If so, I urge you to get comfortable and read the rest of this page right now as you are about to discover something that is sure to excite you. In John 15:12, Jesus describes himself as a vine and us as branches and he goes on to say that those vine branches that do not bear good fruit will be cut off and thrown away, while those that bear good fruit will be pruned so that they will bear even more fruit. In other words, one of the most important things we can do in this life is to bear good fruit for Jesus. It’s an important mission that we should know about and begin to pursue even as kids. After all, few things better represent the Christian life than outwardly displaying the fruit of the spirit, which include love, joy, peace, forbearance, kindness, goodness, faithfulness, gentleness and self-control. Yet sadly many kids are not grasping the full importance of bearing good fruit because of ineffective Sunday School lessons and out-dated classroom material. That’s why I’ve – finally – created a new activity kit that specifically targets kids ages 4-12 and drives home in a fun and entertaining way just how important bearing good fruit is. INTRODUCING The Fruit of the Spirit Activity Kit! If you’ve ever shared your fruit with someone else you know that act produces feelings of satisfaction and completeness that other things in life just can’t match. And guess what … Those feelings of satisfaction and completeness are felt just as strongly by kids as they are by adults. It’s true. It doesn’t matter how old we are, when we share our fruit with others, we feel good, we make others feel good and we feel closer to Jesus. That’s why it is so essential for all Christians, young and old, to bear good fruit. The Fruit of the Spirit Activity Kit stresses this importance to kids through 15 unique activities. You get object lessons, games, crafts, songs, snacks, and even a science lesson, all designed to help kids understand and remember the fruit of the spirit. You can use one of our object lessons in conjunction with one of our games and crafts for a great themed Sunday … or you can use all the materials, spreading your message over several weeks! Either way, this kit is just what you need to teach kids about all fruit of the spirit. Get the Fruit of the Spirit Activity Kit today to ensure your kids draw close to Jesus and produce much good fruit. The second lesson, Weeds to Seeds, shows how Jesus pulls out the “weeds of the flesh,” presented in Galatians 5:22-23, and plants seeds that grow into the fruit of the spirit. Each game either helps with memorization of the nine fruit of the spirit or it helps with applying the message to real life situations. The song is designed for you to incorporate easily – even if the only instrument you play is the spoons! In this case, we put scripture to a well-known tune so that the song will be catchy and easy to memorize. Personally, I’ve found that songs like this one are a great way to memorize scripture. Plus, this song will not only help your kids learn the nine fruits in no time, but it will also tell them where in Galatians to find the fruits. Our "Belly Full of Fruit" gift is an adorable way to share the Fruit of the Spirit with loved ones. Print off as many of these handy worksheets as you need! These are great for everything from an absent teacher to filling in the last few minutes of a class. And along with everything mentioned above, you'll also get my Teaching Script so that you'll know the exact wordsto help kids understand the deeper Biblical lessons that come with the fruit of the spirit. You can use the scripts word-for-word or just simply as a guide – it's up to you! Our foremost wish with this kit is that teachers can confidently present the very important messages of the fruit of the spirit, knowing that they have all the support material they need to make kids really understand the subject. We don’t want you to lack for anything, and we’re confident you will find the ideas in this activity kit are original, thoughtful, economical and fun! Without spending days or dollars preparing, you’ll have enough materials to create lessons kids will cherish and remember well into the future. I’ve also put all teacher words in bold to make things easier for you. If you can occasionally throw in some exciting inflections while you read, it will be amazingly easy to grab your kids’ attention and keep it throughout the entire class. Kind Actions & Healthy Attitudes? That’s what this special activity kit makes possible. So how much would you expect to pay for tools and resources that will allow you to inform and entertain your students while teaching them something that could change their lives? Well, right now you can take advantage of our special introductory offer and get the complete Fruit of the Spirit Activity Kit for just $19. After that limit is reached, I will raise the price to the full $39 – which I think is still a terrific bargain for all of this great classroom material. Remember: the lessons and activities in this kit have been specifically designed to entertain and educate students ages 4 to 12. If you want to grab kids’ attention and make a real impact on their lives, order now! That’s right, we are so sure that you will love the Fruit of the Spirit Activity Kit that we are offering an unconditional 100% money-back guarantee. If you are not completely satisfied with your kit, all you have to do is notify us within 60 days of your date of purchase and we will refund your money, in full, with absolutely no questions asked! That’s TWO FULL MONTHS to put this kit to the test! Either get the tools and resources you need to teach your students all about the fruit of the spirit or get your purchase price back! Plus, when you order the Fruit of the Spirit Activity Kit you can take advantage of the immediate download feature to get all the lessons, games, activities, songs, worksheets and more in just minutes or even seconds from now … that means you could be using it to teach this Sunday – even if you are ordering on Saturday night! Few things can impact a Christian life like truly understanding the fruit of the spirit. They will also be able to use their understanding of the fruit of the spirit to better relate with others and to grow in their faith. They will become strong Christian role models, shining examples at a time when so much attention is being focused on the hypocrites and deceivers who are bearing false fruit. Grounded with a strong understanding of the fruit of the spirit, your kids will develop real Godly character and commitment and start producing good fruit for the Kingdom of God. This kit is filled with informative yet entertaining lessons and incredibly fun games and activities – everything you need to get your students to grasp the importance of the fruit of the spirit. Object lessons that look at the fruit of the spirit in fresh, creative ways that kids will instantly understand! Games and activities that will keep your kids happy and entertained! Songs that will have everyone singing along! Challenging yet fun worksheets that will keep kids occupied and quiet! So are you ready to have a classroom full of students who are hanging on your every word … who are eager to participate in activities and games … who want to learn more about the fruit of the spirit? Remember, the special introductory offer is only available to the first 250 people who order, so don’t miss out! 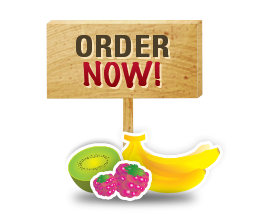 Click on the order now button below to get your copy of the Fruit of the Spirit Activity Kit at the special low price today! P.S. When your kids understand the fruit of the spirit and are able to call upon Jesus to get them, their lives will improve dramatically. They’ll be filled with good instead of bad, and the love of Jesus will always be with them! Order now. P.P.S. Remember the special introductory offer is only for the first 250 orders. Get the Fruit of the Spirit Activity Kit for just $19 before it is too late! Order now. P.P.P.S Also remember, that you are making this purchase at absolutely no risk. So grab this special price while you can! If the Fruit of the Spirit Activity Kit isn’t everything you were expecting, you can request a full refund. Still questioning whether this kit is right for you and your class? Email me to discuss how this kit can benefit you – and your students.